of all UMATI programmes and projects. 1. To strengthen UMATI’s Research, monitoring and evaluation system for the effective tracking of progress in implementation of the strategic plan and projects using approved indicators and targets for measuring, progress and make recommendations for improvement. 2. To work with the IPPF Africa Regional Office (IPPF ARO) Research, Monitoring & Evaluation Team to introduce and implement the DHIS2 and Clinical MIS to ensure accurate collection of performance data from all projects and programmes and to ensure that the information is fed into the National HMIS. 3. To ensure UMATI’s Market share is demonstrated and appropriately recognized at all levels including local government and Nationally. 4. To ensure compliance with reporting requirements in collaboration with the Finance and other teams as well as ARO Research and Evaluation Team. 5. To ensure consistent and continuous tracking of progress in implementation of the Organization’s Strategic plan and its key outcomes. 6. To build the monitoring, evaluation, and data collection capacity of staff at HQ, Clinics and project sites through initiating, organising, participating or conducting of training sessions and evaluation workshops. 7. To take the lead in regular collection, analysis and reporting on data from the Association’s entire programme, and monitor data quality. 9. To comply with the requirements of the reporting systems for preparing reports as per the Donor formats/requirements. 10. To review the performance of existing management information systems to help identify potential modifications. lessons learned, best practices, and the statistical, qualitative, and anecdotal evidence provided by UMATI Programmes and activities. 12. To be responsible for the production of supporting documents e.g. data summaries using dashboards, workshop reports, etc. 13. Support All departments in the revision of work plans and strategies In collaboration with Senior management Team. 14. To lead and contribute to the development of Annual Programme and Budget and the Annual Performance Report including the review and use of UMATI’s service statistics. 17. To ensure UMATI generates peer reviewed publications annually to share its work with academia and the SRHR Community of Practice. 20. To undertake any other duties as may be requested from time to time. a) Staff responsibilities carried out by the job holder. Supervise the CMIS Officer, Project M&E Officers and Data clerks or their equivalents.  Monitor expenditure on monitoring and evaluation at HQ, Clinics and site level. c) Advisory responsibilities carried out by the job holder.  To update and advise the ED on all aspects of monitoring and evaluation.  To advise colleagues and Clinics staff on all aspects of monitoring and evaluation. or health related subjects, or equivalent standard of education. include the design and implementation of evaluation strategies.  Knowledge of sexual and reproductive health issues in Tanzania. evaluation systems for development programmes.  Excellent interpersonal and communication skills required to train / coach staff and give occasional presentations.  Excellent written communication skills.  Strong analytical skills including analysis of both quantitative and qualitative data.  Excellent organisational and time management skills required to meet deadlines.  Ability to work independently and as part of a team. Reporting to the Head of Programme Development, Management, and Coordination, The Manager, Restricted Projects and Community based services is responsible for coordinating the effective and timely implementation and reporting of all UMATI’s restricted projects. 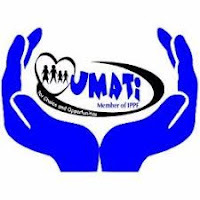 S/he will also oversee UMATI’s outreach and community-based services including community based distributers (CBDs) and Mobile clinic services. S/he will provide technical and administrative oversight to a team of project coordinators to deliver integrated quality SRHR services to UMATI respective target populations. 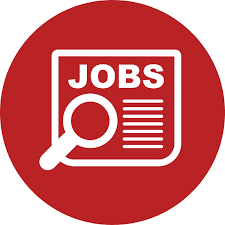 The holder of this position will develop and maintain key community relationships and acts as a community liaison to key stakeholders including, non-profit organizations, community groups, religious organizations, volunteers and donors. S/he will ensure donor relations are cultivated and resources are continually mobilized for sustainable community based programmes in UMATI. A collaborative style, strong work ethic, and enthusiasm for building bridges between staff, volunteers, board, donors and other key stakeholders are essential. The holder of the post will work closely with IPPF Africa Regional Office institutional Delivery unit to ensure quality timely delivery and reporting of restricted projects and maintain healthy donor relations. and organizing projects activities in accordance with the mission and goals of the organization.  Develop and implement a robust Restricted projects management system.  Ensure Cost-effective and cost-efficient value for money implementation of all restricted projects under UMATI.  Direct, supervise and evaluate work activities of project coordinators and other personnel.  Collaborate effectively with the Manager, Medical and Technical Services and the Research, Monitoring and Evaluation to develop and implement a quality management system including quality of care for all Community based services.  Maintain communication with outreach venue owners, managers and security personnel.  Recruit, capacity build, and supervise project coordinators & volunteers for outreach and community based services.  Maintain programme records and produce monthly reports on programme activities, accomplishments and challenges including programme statistics and budget status.  Conduct and administer fiscal operations, including accounting, planning budgets, authorizing expenditures, establishing rates for services, and coordinating financial reporting.  Must be a holder of a Master’s degree in any of the following disciplines; Social sciences, Community health; Community Development; Public Health; Health sciences; Medical Anthropology and health promotion. In addition, they should have a post graduate qualification in Public health, community health, and related fields.  A high level of enthusiasm, energy, initiative, and drive.  Experience working with diverse populations, speaking in public, and implementing, coordinating, and evaluating programs preferred.  Budget preparation, management, and budget analysis.  Ability to communicate non-judgmentally, sensitively and accurately about matters related to sexuality, reproductive health issues, values formation, and decision making young people and adults.  Must possess strong written and written communication skills, as well as a demonstrated ability to work effectively with diverse staff and populations.  Commitment to exceptional work quality and standards.  Ensure accurate financial, contractual and administrative reporting of restricted and unrestricted funds projects is rules and regulations, and terms and conditions.  Assist the HOISD on the preparation and management of UMATI cash flows and forecasts.  In liaison with Manager HR & Volunteers Service, support the preparation of monthly payroll, obtain approval and process to bank.  Ensures the production and & issuance of pay slips and maintains all payroll records.  Oversees the processing of leaves records ensuring no more than 10 days leave is accrued.  Prepares yearly Payroll reconciliations & Payroll taxes Summaries.  Supports all other employer payroll related requirements.  Ensure on positions which are in the APB or budgeted for in restricted projects are filled.  Minimum of a Bachelor degree in Business Administration/ commerce or any other business related degree. A professional qualification is required (CPA, CIMA, CA, ACCA).  Applications which do NOT include ALL of these elements will NOT be considered.